Avengers: Endgame movie ending reportedly leaked online and the Russo Brothers have requested the fans to refrain from dropping any spoilers on social media. Avengers: Endgame movie ending reportedly leaked online and now fans are worried that before the release of the movie, the entire movie will surface online. The directors of Endgame movie have requested the fans to refrain from dropping any spoilers on social media. Ahead of Avengers: Endgame release, its ending is leaked online. Several users who have watched the ending are even spoiling it for others by sharing it on either social media platforms or by simply dropping the video to the other's social media accounts. As a good Marvel fan, we should always avoid spoiling the movie for others and at the same time, leaking something like is not only wrong but also a crime. One should always refrain from doing this. The Russo Brothers have written an open letter in which they have requested fans to not give away any part of the Endgame movie out as they too wouldn't want someone to spoil the movie for them. Their Instagram post soon surfaced after we reported that the climax of Avengers: Endgame movie is leaked online. The leak does not only talk about the ending but has also spoiled several key plot points, character look, important dialogues, and the ending of a superhero. "The two of us, along with everyone involved in Endgame, have worked tirelessly for the last three years with the sole intention of delivering a surprising and emotionally powerful conclusion to the Infinity Saga. Because so many of you have invested your time, your hearts, and your souls into these stories, we're once again asking for your help. When you see Endgame in the coming weeks, please don't spoil it for others, the same way you wouldn't want it spoiled for you. Remember, Thanos still demands your silence!" The Russo Brothers shared this on their social media account. 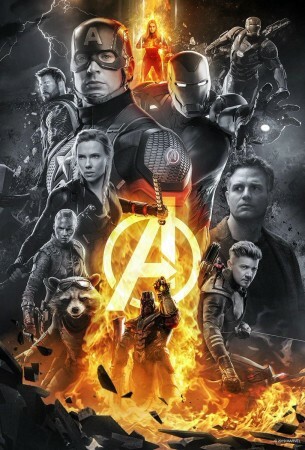 Avengers: Endgame movie will release on April 26, and will bring a heartbreaking conclusion to the ongoing phase of the Marvel Cinematic Universe. The movie will star, Robert Downey Jr. as Tony Stark, Chris Hemsworth as Thor, Mark Ruffalo as the Hulk, Chris Evans as Captain America, Scarlett Johansson as the Black Widow, Benedict Cumberbatch as Doctor Strange, Don Cheadle as War Machine, an others.